Description: At the plant for the production of trains. 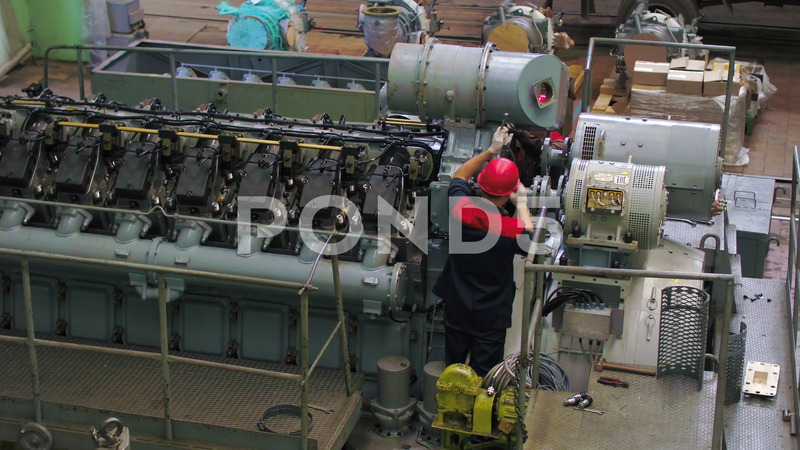 Two workers are installing a diesel engine for the locomotive. They are wearing blue uniforms and red helmets.